Preparing you child for his or her dental appointment can go a long way in making sure it goes smoothly. Here, you'll find all sorts of tips and advice on helping children feel comfortable with dental care. Here are a few tips for parents from out Smile Town North Delta children’s dentist on how to handle baby’s first year of oral health. If you are having a hard time getting your kids to stay consistent about brushing and flossing, setting up a reward system via a countdown brushing calendar may help! With this Sesame Street Video, your kids can brush their teeth with Elmo, and some special friends, too! Feeling nervous about visiting the dentist is very common for adults and children alike! Here’s some advice for how you, as a parent, can help your children feel better about her upcoming appointment. 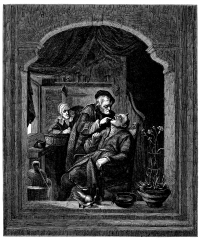 Teach your kids about the history of dentistry, and how it has changed over thousands of years of history! Watch Video: Sesame Street's "Can't Go Wrong"
Elmo and his friend Abby rock out to a song about crunchy vegetables, and how great they are for your teeth, in this fun Sesame Street video clip! Your child should begin visiting the dentist twice a year starting at the eruption of the first tooth. Here’s what to expect from the first dental cleaning. 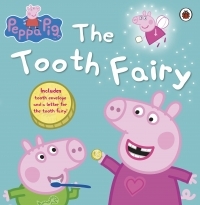 Peppa Pig: The Tooth Fairy is a great introduction to why and how children lose their baby teeth! There's an app for pretty much anything you can think of these days, and that includes dental health! We’ve compiled this list of kid-friendly oral health apps that may help get your child or teen to take more of an interest in their dental health. To prepare your kids for visiting the dentist, it can help to have a variety of fun resources at your disposal. The following dental health videos are some of our recent favourites on YouTube. Here's a quick and easy dental experiment using eggs, for parents or teachers looking for a fun, hands on experiment to teach kids about dental health and facilitate discussion about the importance of oral hygiene! The team at SmileTown Burnaby loves to share fun ways for parents to prepare their children for visiting the dentist. This Sesame Street clip, featuring Grover and Kermit the Frog, will have both parents and children giggling! 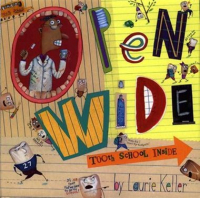 Open Wide: Tooth School Inside by Laurie Keller is a fun and funny introduction to teeth. 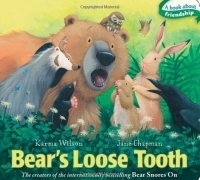 In the book Bear's Loose Tooth by Karma Wilson, Bear's friend's help him remain calm when he realizes that he has a loose tooth! Tongue, lip, cheek or uvula piercings are popular among teens and adults alike. We typically advise against oral piercings, but if your teen already has one, here’s some advice for taking care of properly. To get your kids to take a more active role in their oral health, it's a good idea to get them interested in the topic. Here are a few fun dental facts about teeth and oral health to share with your kids! Books and other media can be very helpful in putting children at ease when preparing them for a visit to the dentist. Here are some funny and educational poems and songs about dentistry that you and your child can read or sing together! 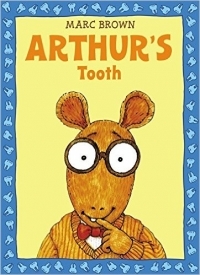 In "Arthur's Tooth", by Marc Brown, Arthur the aardvark watches as all his friends get visits from the tooth fairy, while his own loose baby tooth just will not to fall out! 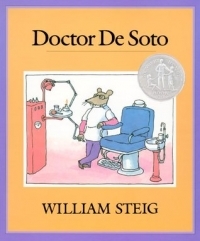 We often share our favourite books about dental health and visiting the dentist here on our blog, so that you, in turn, can share them with your child! But did you know that many of these books are also featured is some really great Youtube read-alouds? Teeth: they sure come in handy when you need to chew or smile! 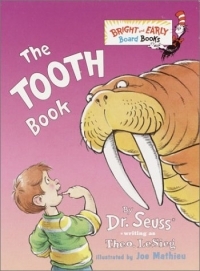 The Tooth Book, by the much loved Dr. Suess, teaches kids all about the things their teeth can do, and how to take care of them, too! Here on the SmileTown Burnaby blog, we often recommend children’s books about dental health and oral hygiene. Today, we’d like to share a few great Youtube videos about dental health for children. Taking a hands-off approach when discussing those first dental appointments with your child can sometimes go a long way in making those first appointments go well. 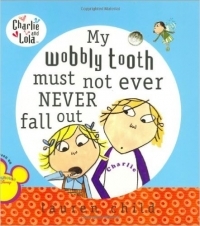 To help prepare children for when their first teeth fall out, pick up a copy of My Wobbly Tooth Must Never Ever Fall Out, by Lauren Child today! Invisalign clear aligners are a very popular choice for teeth straightening among teenagers. Today, we’d like to explore exactly why this orthodontic option is such a great one for teens. One of the most effective ways to make sure your child develops good life-long oral health habits is to make oral health a fun and engaging experience for your child starting at a young age.